Merry Christmas from Suave HQ. Four days and counting until Christmas, and Mr. Suave's 2nd Annual Swingin' Christmas Extravaganza. In the meantime you'll just have to content yourself with this little show right here. 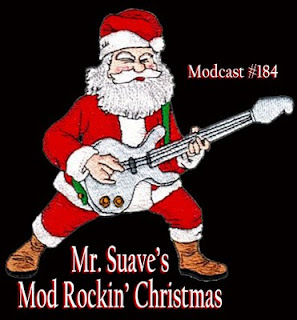 These are not your grandfather's Christmas songs, from Jimmy Severe and His Blue Christmas Boys to The Eels and The Cuban Mistletoe Crisis this hodgepodge of slightly different but cool yule sounds. And there's a few new tracks as well, most notably from Fitz & The Tantrums and The Diplomats of Solid Sound. If you're looking to have a more punk rawk type Christmas be sure to check out Jimmy Severe's Punk Rock Advent Calendar. Originals and classics, all done in a great '79 punk style. Modcast #183: Are Your Ears Burning?